Im-lo a'aleh et Yerushalayim al rosh simchati. The groom then joyously crushes the glass with a powerful stomp and all of the guests shout in unison, "MAZEL TAV"!! This act officially marks the end of the wedding ceremony and the beginning of the celebration. In other words, it's time to party! As with many Jewish traditions, smashing the glass is a symbol that represents a greater idea. But what could stomping on glass possibly mean? And how did such a charismatic, unique tradition come to be? As with most traditions, this is up for interpretation, but let's take a look at a few of the more popular explanations. One common interpretation of the symbolic meaning of breaking the glass is that is symbolizes the destruction of the temple in Jerusalem. 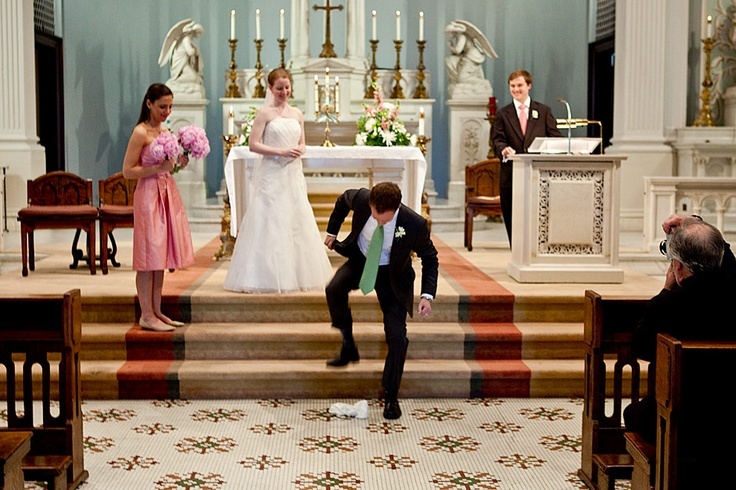 Many couples will shout the famous line, "If I forget you, o Jerusalem" right before the groom breaks the glass. The combination of this tradition as well as the singing of Im Eshkachech reinforces that the couple should never forget the history of their Jewish ancestors. So much suffering brings so much joy. Going along with the suffering theme is that breaking the glass represents the hard times that the couple will face in marriage. After celebrating commitment and happiness under the Chuppah, the couple honors the commitment to each other in the toughest of times symbolically by breaking the glass. 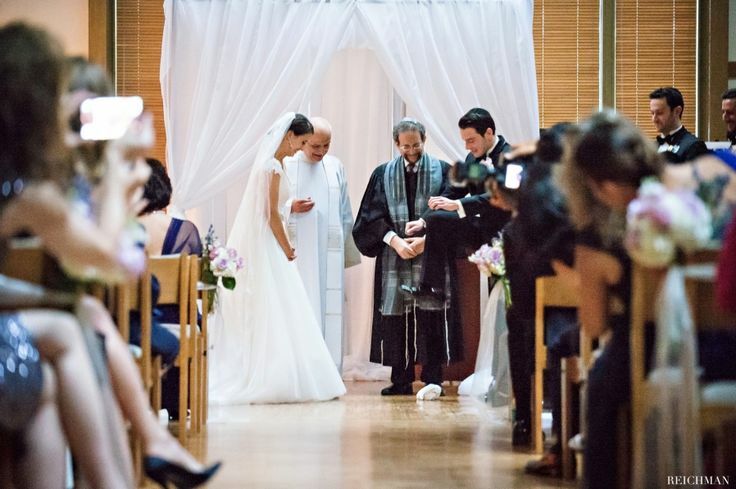 Another representation that is shared among interfaith couples, is that the breaking of the glass is symbolic for breaking down the walls and divisions between different faiths and belief systems. The tradition can also represent stomping on a particular point of suffering in current society. 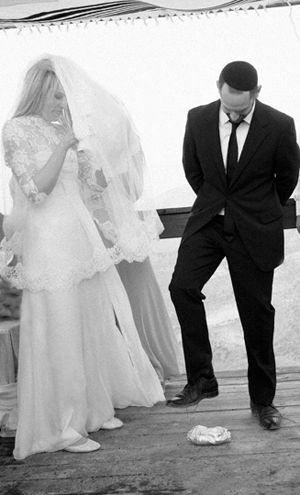 Some bride and groom pairs choose to focus their combined energy on physically shattering an ill of society, such as inequality, injustice, or poverty. A nice gesture is for the couple to repeat to each other the societal illthat they are joining forces to eradicate and then physically stomp on the glass together. No matter your interpretation of the tradition, breaking the glass at a Jewish wedding is a momentous occasion that is a sight to behold!